Are you looking for a way to make that transition from summer to school easier? Are you sending your Kindergartner off to school for the very first time? Has your family been enjoying the lazy days of summer and you have no idea how to get back on track for alarm clocks and rushed mornings? Back-to-School can be full of anxieties for the child as well as the parent. Children may be worried about increased expectations, making friends, homework, or just being away from you. This Back 2 School Guide will help both you and your child ease those anxieties and get you off to the right start for school. 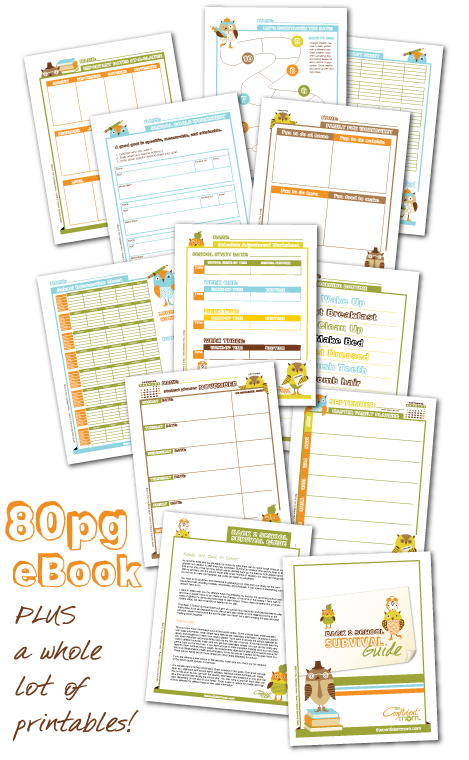 Susan, of The Confident Mom has created 80 pages of information and printable forms to get your whole family on the right track. If you are looking to help your student be more organized, a student planner is one of the many things included in this eBook. 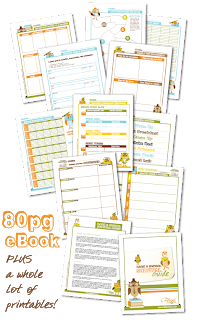 There is also a customizable routine sheet for those younger ones that need help remembering all the things they need to do each morning before they head out the door. Even my middle schoolers need help remembering things! There is so much great information that Susan of The Confident Mom has come up with in one great package to get your kids off to the best start possible. We are just 12 days from our first day of school here, so don’t delay! For just $10, this entire package will not only assist you in the coming days, but throughout the entire school year! You can even save $2 if you act fast. Through August 20, 2013, enter the code SCHOOLMOM2 to get your Back 2 School Survival Guide for just $8. Click HERE, to visit the site and order yours today! Don’t let this be your child! Make sure you are prepared and help your child prepare to achieve success at school this year! This Back 2 School Survival Guide has tips and tools for the entire family!